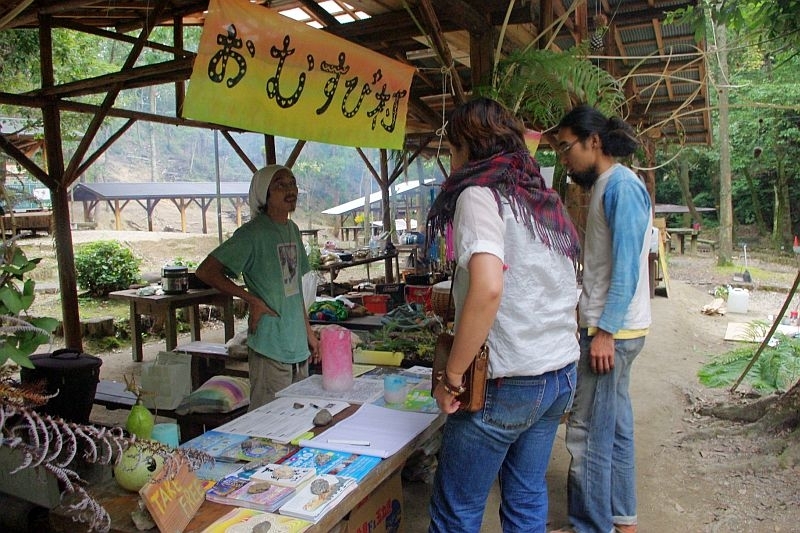 Support us to save a Biodiversity Hotspot in Japan! Power Plant started last Monday(21st Feb 2011). plenary session at NGO meeting in COP10 in October last year. 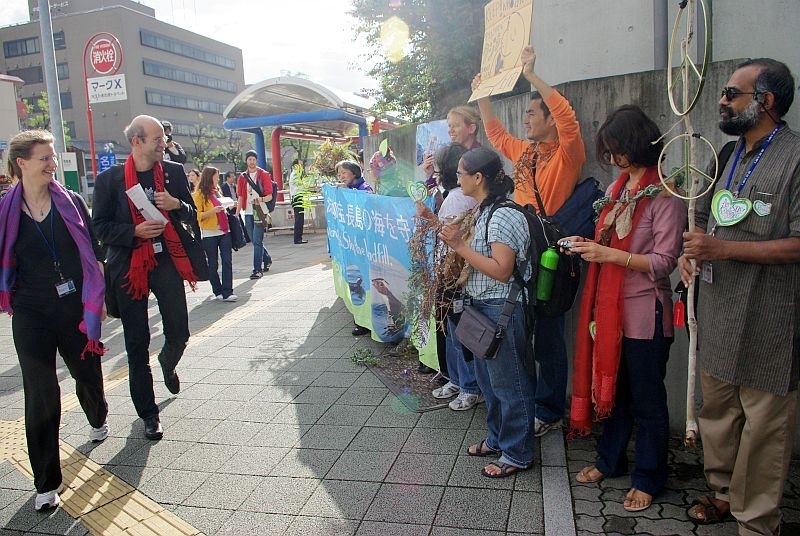 signatures were handed in to Yamaguchi Prefecture. 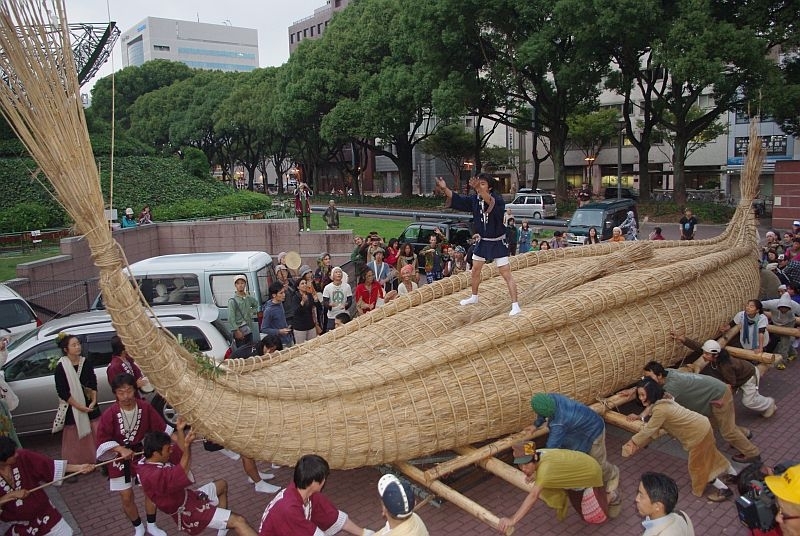 of fish will be land-filled. 600 people to force through the construction. Now they are on the verge. So we need your support. 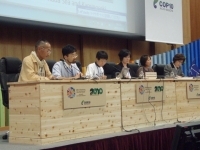 Chugoku Electric Power Inc was a participant of COP10. people to know this fact by forwarding this email. them to stop the land-filling. We wish this issue will reach as many global citizens as possible. Nuclear Power Plant!" everywhere in the world. "Gen-Patsu Kensetsu wo Yamete Kudasai"
■Chugoku Electric Power co. INC.
Kaminoseki Nuclear Power Planned Construction Site. Nuclear power plants produce the same radioactive material that was produced by the nuclear bombs dropped on the Japanese cities of Hiroshima and Nagasaki. 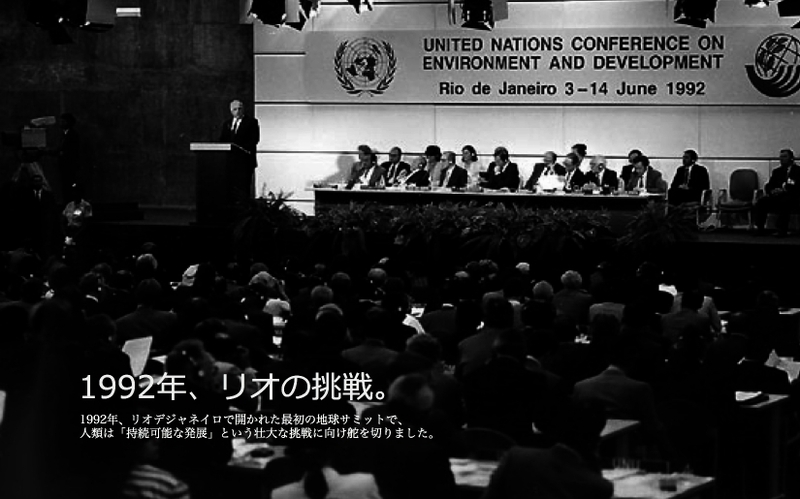 We believe that it is precisely because Japan knows the horror of nuclear weapons that it should abandon nuclear power, which produces radioactive waste that cannot be disposed of, leaks radiation into the environment and entails a high risk of nuclear accidents. Even if they operate without accidents, what nuclear power plants leave to future generations is nothing but polluted oceans, abandoned reactors and nuclear waste. Young generations do not want such things. Things which threaten life in this way cannot be given the label "peaceful use". We feel very sad that Japan is trying to export these things. 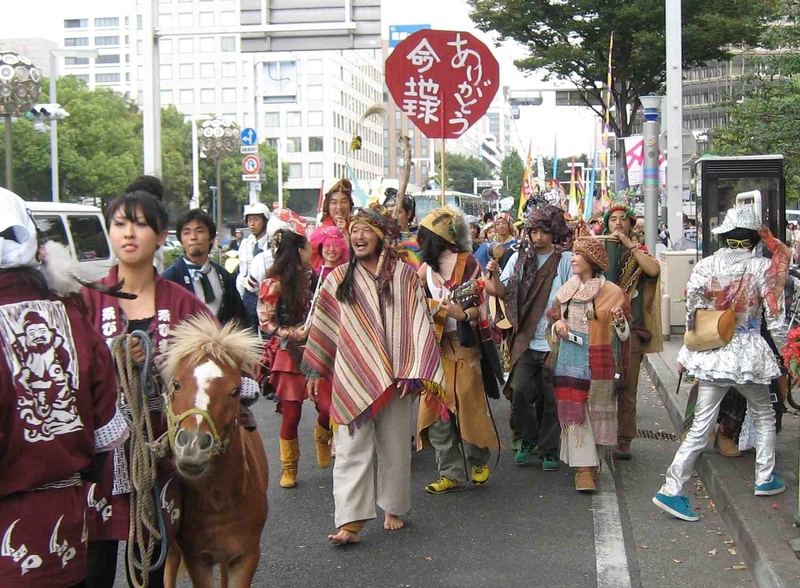 The people who have nuclear power plants foisted upon them will suffer as a result. But in Japan the government and the nuclear power companies conceal the facts about nuclear energy, so we suspect that the average person has little interest in nuclear exports. For this reason, having found out about these things, now that we have finished our hunger strike we will work to expand the opposition to new nuclear power plants and nuclear exports with the aim of bringing about a phase out of nuclear energy. We want to expand the movement among young people like ourselves, who are particularly vulnerable to the effects of nuclear power. Five young men (2 aged 19, 3 aged 20) are in the ninth day of a hunger strike outside the Prefectural Government offices in Yamaguchi City to protest land fill and sea reclamation work in preparation for construction of a nuclear power plant on the coast of the environmentally sensitive Seto Inland Sea. (See translation of their statement at the end of this press release.) The Seto Inland Sea is sometimes referred to as Japan’s Galapagos because of its rich environmental diversity. 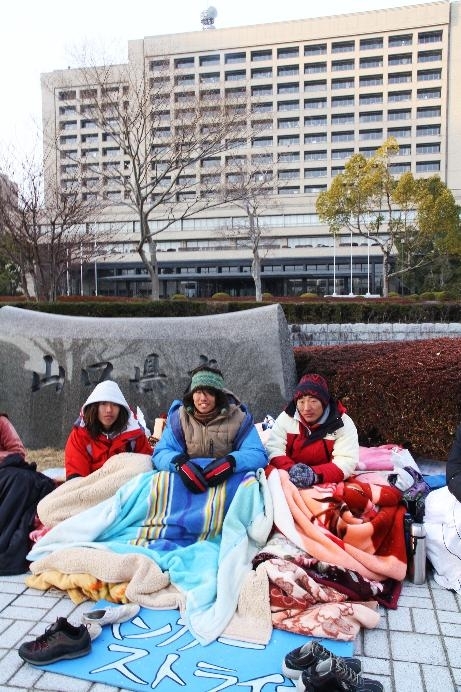 They plan to continue their hunger strike at least until the tenth day (Sunday 30th), when they will conduct a one-hour sit-in from 12 noon outside the Prefectural Government offices. The sit-in will be joined by Diet Members from the Social Democratic Party and other supporters. Beyond Sunday, their plans will depend on their physical condition. 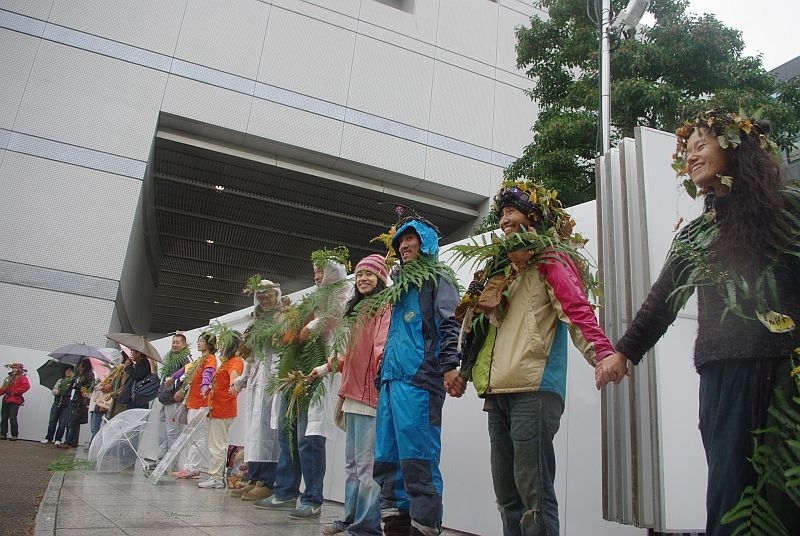 In October some of the hunger strikers joined the 800-kilometer “7 Generations Walk” from Kaminoseki to Nagoya, where COP 10 of the Convention on Biological Diversity was being held. 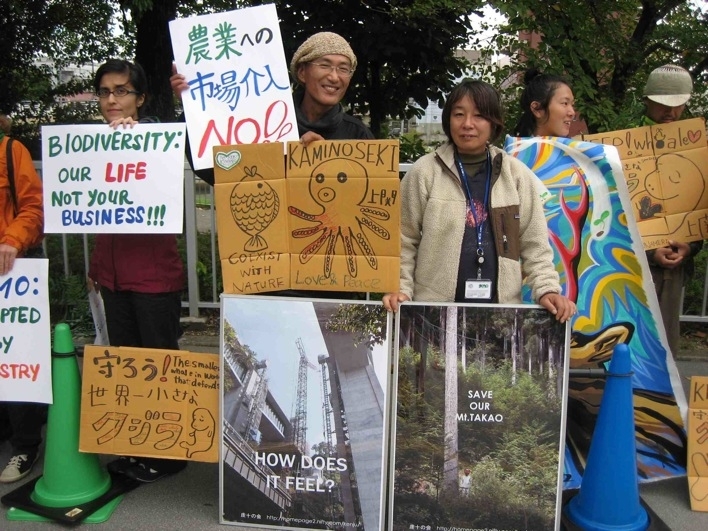 Along with other activists from Japan and abroad they protested the threat posed by the Kaminoseki Nuclear Power Plant to the biodiversity of the Seto Inland Sea. 5. Hunger strikers’ Japanese Blog and personal statement. 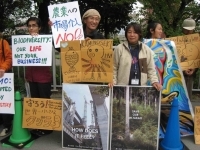 We began a hunger strike on the afternoon of January 21 to call for the temporary suspension of land fill and sea reclamation work at the proposed site of a nuclear power plant at Tanoura, Kaminoseki Town, Yamaguchi Prefecture and for reconsideration of the approval for this work. We decided to take this action because we do not want the radioactive waste that will arise and the radioactivity that will accumulate in the sea and the atmosphere as a consequence of constructing and operating this nuclear power plant to be left to our own and our children’s generations. Radioactive waste continues to release radioactivity for thousands of years, but no means of disposing of it has been established. Furthermore, although nuclear power plants can only be operated for about 40 years and the buildings themselves become radioactive in the process, no safe method of decommissioning them after they are shut down has been found. Nevertheless, they are going ahead with a plan to construct a new nuclear power plant at Kaminoseki Town in Yamaguchi Prefecture. 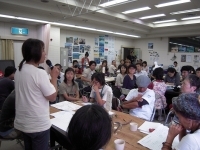 To construct a new nuclear power plant when there is neither a method of disposing of the radioactive waste that will be produced in the process of operating the plant, nor a method of decommissioning the plant after it is shut down is to bequeath the problems to generations of young people to come. None of us are residents of Kaminoseki Town, but the problems of this nuclear power plant are by no means problems just for Kaminoseki. They are problems for the whole country. 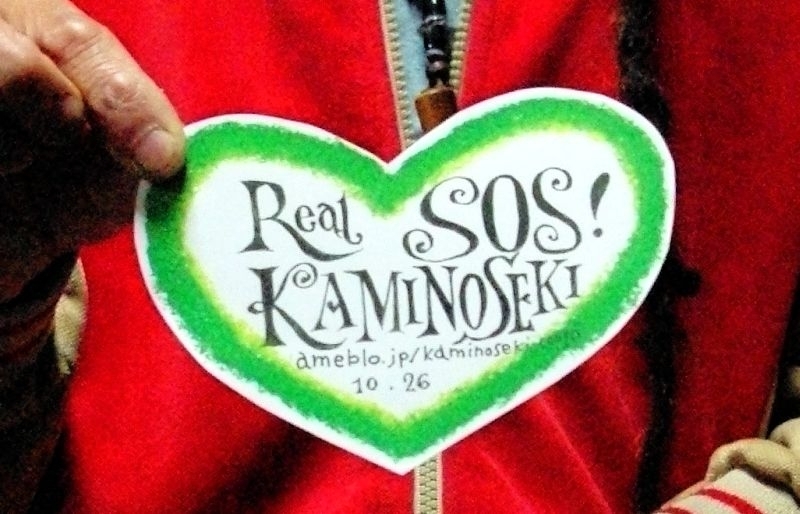 We want to inform as many people as possible about this issue and to communicate the reality of what is now happening at Kaminoseki and our feelings about the matter to the Governor of Yamaguchi Prefecture, who approved landfill and sea reclamation work at Tanoura, Kaminoseki Town, Yamaguchi Prefecture. 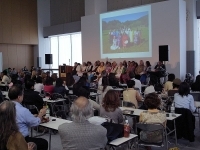 This hunger strike will only become meaningful if it captures the attention of people throughout Japan. We need your strength. If you agree with the sentiments expressed in our appeal, please forward it to as many people as possible. And if you have some time, please phone or fax the Yamaguchi Prefectural Government Office and Chugoku Electric Power Company, which is proceeding with its plan to build a nuclear power plant at this site. Please ask them about our hunger strike. Of course, we welcome anyone, regardless of age or gender, who wishes to join our hunger strike. We repeat, we need everyone’s strength for this action. 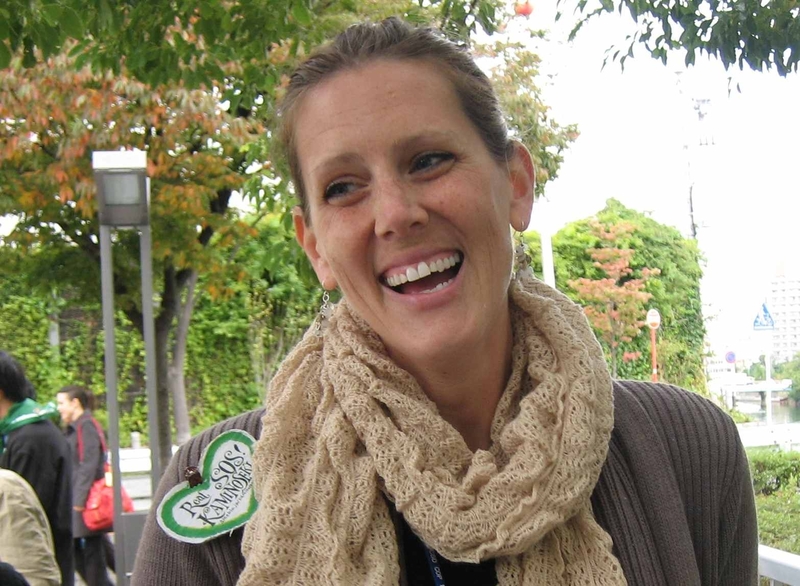 We are laying our bodies on the line in order to communicate our feelings. We ask for your support.